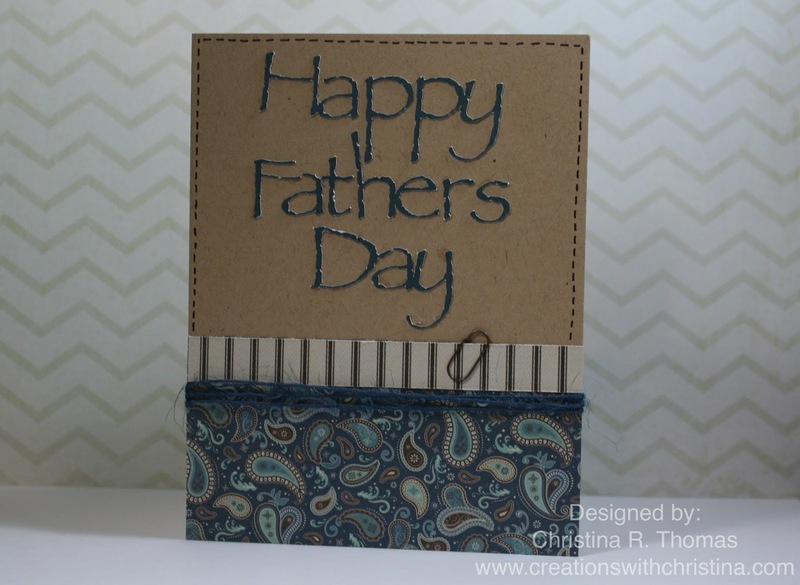 Ready for a fun filled week of Father's Day Cards? The first card in the series uses the Silhouette Cameo and the Papyrus Font from my font list on my computer. I love that I can use any font I have or downloaded with the Silhouette. I picked the Giddy Up Boy 6x6 Paper Pad from Crate Paper for today's card. I hope you enjoyed the first video in the series. Have a great day and see you back here tomorrow. LOVE that paper collection for guy cards! Christina this turned out really nice! I have that same paper pack but in the girl version. LOVE it! I wanted to ask you where did you get that pen looking eraser thing at that you used in this video to erase your pencil line? A great 'masculine' card... and the paper clip was a great touch! Great card, as usual, Christina. I have that paper cutter and my blade assembly always flies off. Cuts well, but drives me nuts otherwise. Great looking card...the papers are perfect for a guy theme! And don't you just love your Cameo for these great teensy cuts?